Traditional warfare with traditional (how nice that humans can be said to 'traditionally' do each other in !) 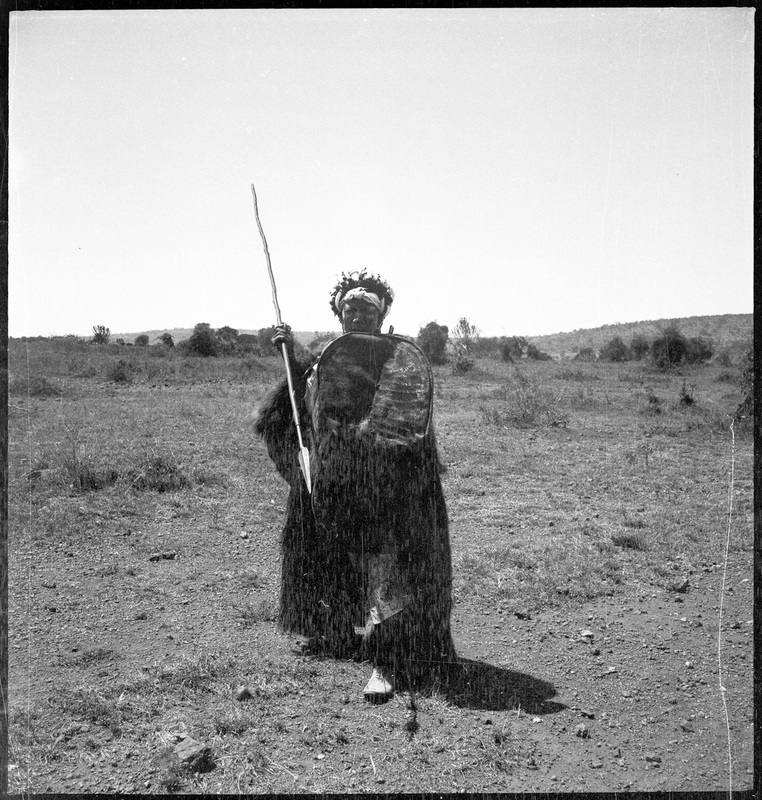 weapons and techniques can be studied by examining collections of anthropologists and ethnographists. In a few areas of the world such as PNG and the jungles of South America it is still possible to study societies where 40% of adults die from spear wounds before the age of 50. For the most part it is several generations since such joys were the direct experience of people. The big killers today are AIDS, hepatitis and civil wars using gun-armed children. Right up to the 1900s spears and bows faced machine guns and repeating rifles and artillery. I quote Mark Twain here because not only is this a perfect example of ice-cold penetrating sarcasm but it is also one of the best anti war pieces ever written. If you do not know this piece yet have an interest in war in any way - read it. This material can inform us as to how pre-gunpowder peoples fought each other. We can look at how they used swords, spears, bows and arrows and horses in war. The conclusions reached may not show us how things were done in history but they can help us rule out some possible suggestions as unlikely. We go on the basis that a man then was the same physical entity as now and that the business of surviving and killing was fundamentally similar. It is hard to find any spears much shorter than the height of the man using it. 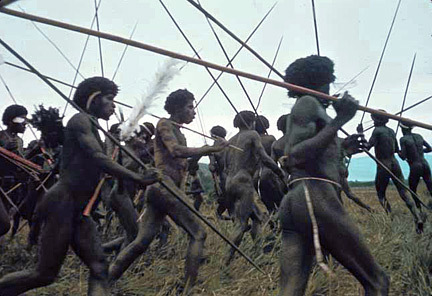 In many cases the spears used by tribal peoples were extremely long. 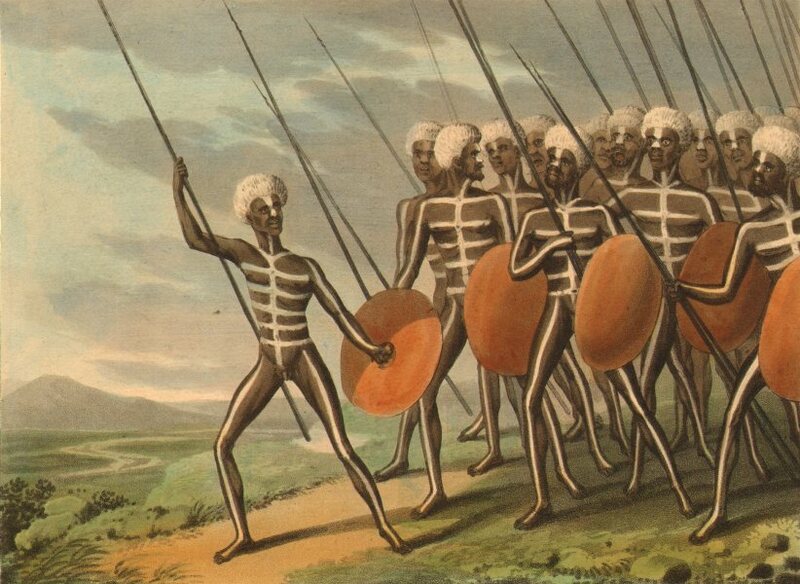 New South Wales aboriginal warriors as drawn in 1814. 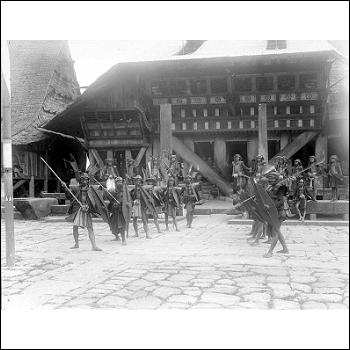 Apatani warriors of the Ziro valley in Aruchal Pradesh, India. Huorani warriors from Amazonia. With spears and blow-pipes. 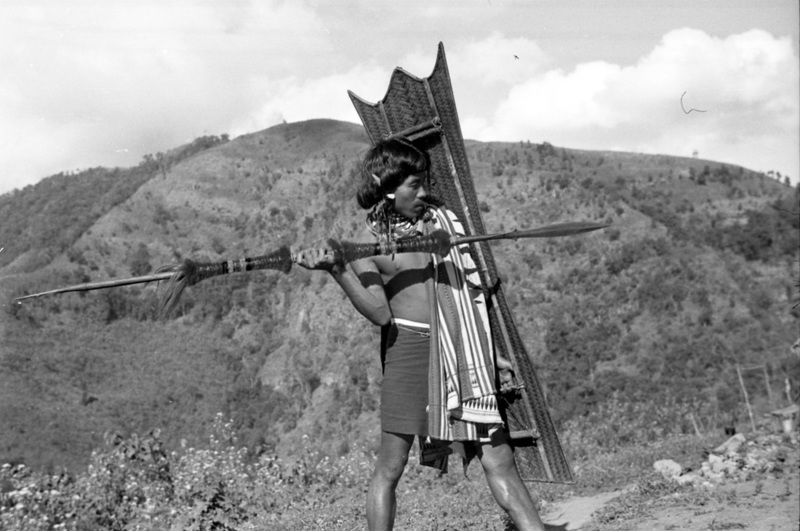 The majority of the spears in ethnographic material are in the region of being up to a metre or so taller than the warrior. Naga warrior. North West India. 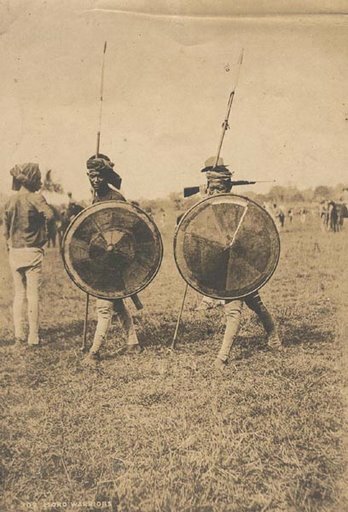 Moro warriors from Philipines 1906. 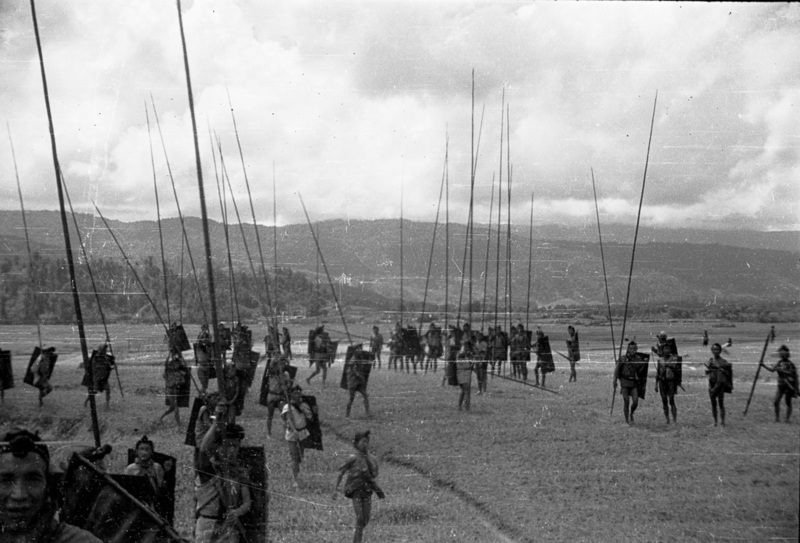 The wealth of photographs available illustrating the 'common' length of a warrior's spear is overwhelming. It takes a perverse view to deduct that the usual length of a warrior's spear is much less than his height. The most well-known short spear is the Shakan 'iklwa. 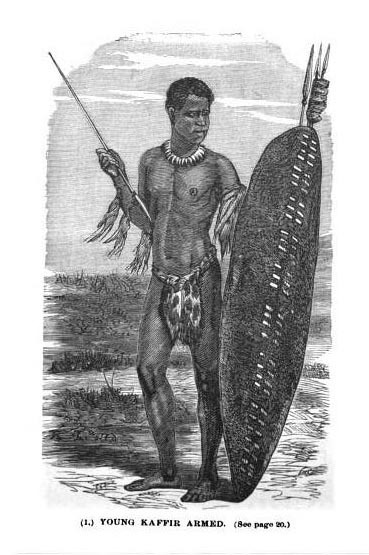 This was a pseudo sword introduced by the Zulu warlord in the early nineteenth century. The purpose was to make combat more deadly. The warrior had to stick the weapon in his enemy rather than have the chance to throw several light spears - assegai - from a distance. The 'iklwa is an horrible parallel to the Roman 'Spanish sword'. One stab to the torso put the enemy out of the fight and required less space to do the job. 'iklwa was the noise made as the blade was withdrawn. The weapon was one metre long in all - with a tanged, 30cm-long blade with long cutting edges. 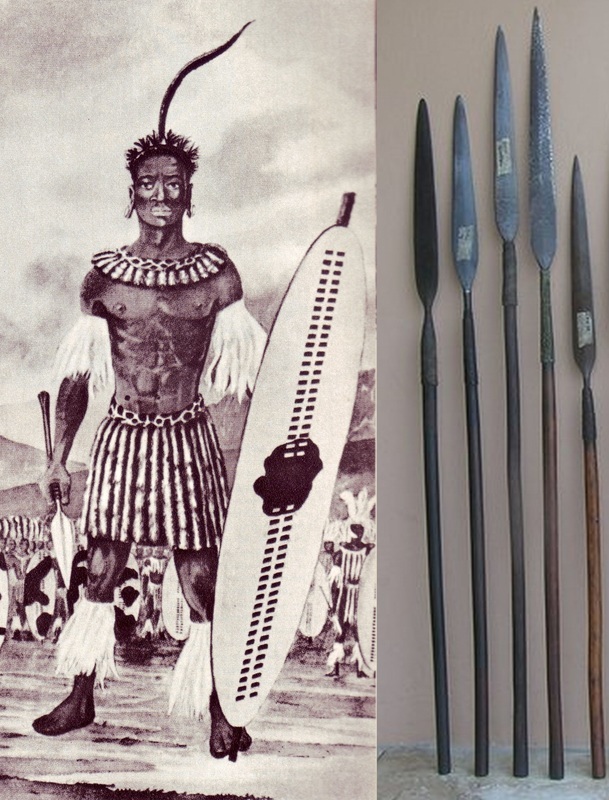 The most comman spear use in southern Africa was the assegai from the Arabic az-zaghayia - a light, spear used to throw or stab with, often with a Dogwood shaft.
' The spear maker has already by him a number of shafts. These are cut from a tree which is popularly called "assegai-wood," and on the average are nearly five feet in length. In diameter they are very small, seldom exceeding that of a man's little finger at the thick end, while the other end tapers to the diameter of an ordinary black-lead pencil. This weapon is five feet seven inches in total length, and the blade measures a foot in length from its junction with the shaft. There is one possible parallel from history. Tacitus describes the weapon of materially impoverished German tribesmen in the first century. Archaeology has yet to provide us with a good candidate for a framea.